Imprint color for second-side must match an imprint color from 1st side. 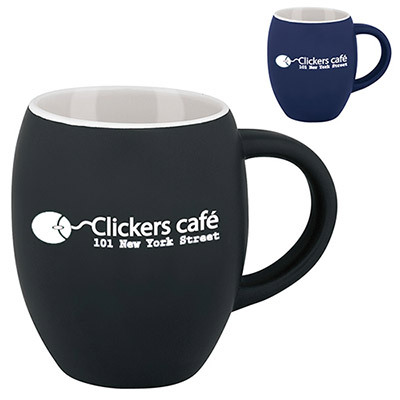 Let’s give your clients, customers and employees a reason to remember you during their coffee break! You may wonder how this is possible? 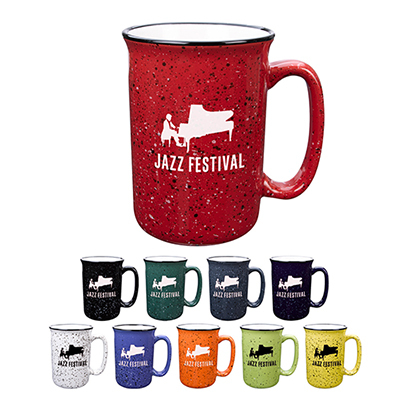 By ordering personalized coffee mugs, that’s how! 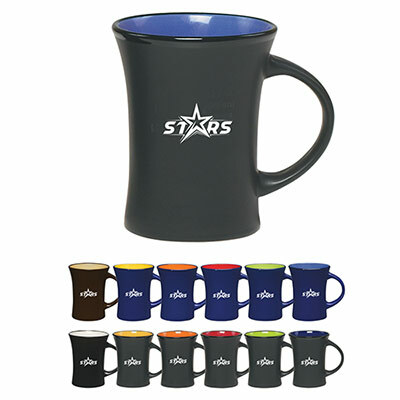 A Promotional Coffee Cup is the most popular type of promotional item used by hundreds of companies around the world. 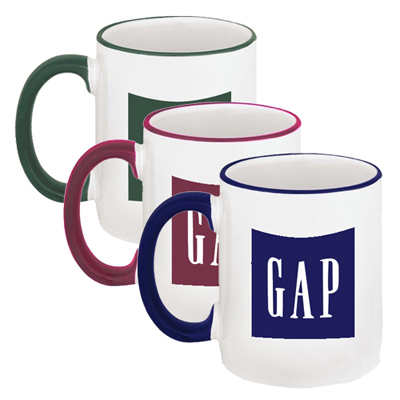 So now we all know that giving unique two-tone mugs & personalized coffee cups with your logo printed on it can create maximum brand recall, don’t we? So don’t think; just order promotional coffee mugs today! 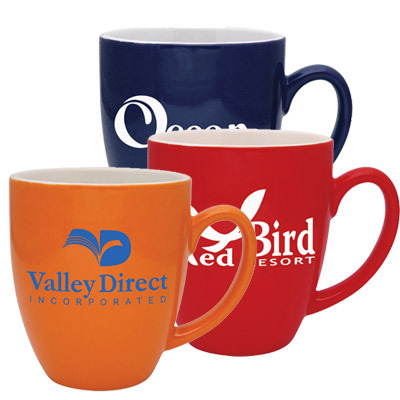 "These mugs are reliable marketing tools for my brand. Love the two tone look. " FREE SECOND SIDE IMPRINT...Matching handle and halo looks sharp!